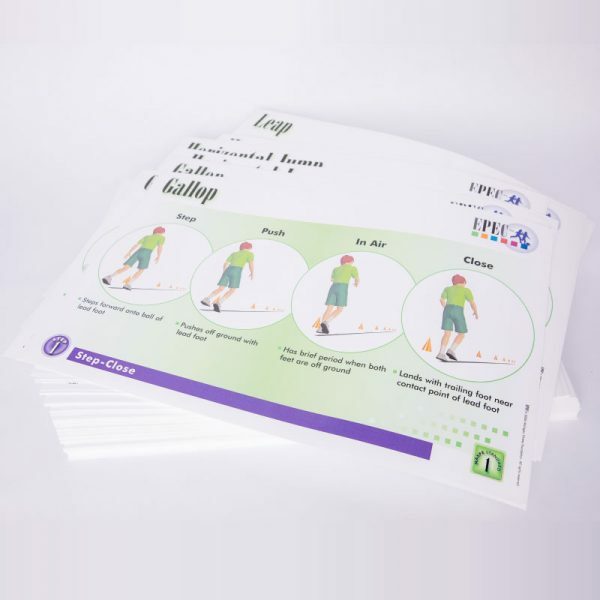 The EPECTM K–5 posters are a visual aid to instruction and are used to illustrate proper form for students and teachers. Posters make it simple for pairs of learners to work together and achieve instructional objectives. Posters are 11 x 17 inches, full-color, and printed on heavy paper for durability. Graphics and cue words match the assessment rubrics so students know exactly what to practice. Set of 211 posters. This item is not SNAP-Ed eligible in Michigan.